Office Fit Out Checklist - Step 1 Do we need to move? Firstly ask yourself do you really need to move? Do you need to move or could you get a better deal negotiating a new lease where you are and refurbishing the existing office fit out? Moving offices is not only costly on the bottom line with everything from removalists, to stationery changes and of course your new office fit out, it can also cost you in loosing key staff. It is not uncommon for people to resign based on as little as an extra 10 minutes travel time. Take the time to talk to your key staff in advance of any relocation plans. This may have a dramatic impact on what you were thinking was an good option. 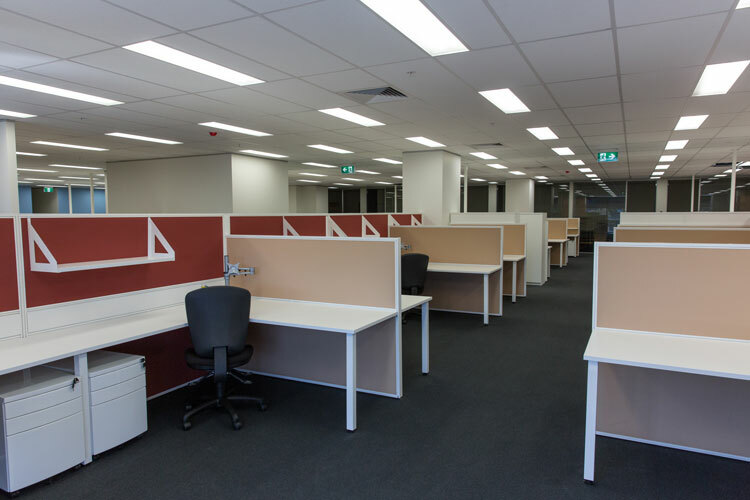 Another additional cost of moving to a new office space is the make good of your existing commercial fit out. A make good clause is a common exit condition of a commercial property lease. This may be an inevitable cost as you will leave one day, but it still needs consideration. What are the Incentives if I stay and refurbish the office? Building owners sometime offer incentives such as paying for part or all of a new office fit out or renovation to entice you to stay. The size of the incentive will vary depending on whether you’re in a buyer’s or a seller’s market. Is there either a shortage or an oversupply of commercial office space in the size and location you need. Do your research. What kind of incentives will a new landlord without a sitting tenant offer your company to sign a new lease. You will have a better idea of the deal you may be able to strike with your existing landlord. You have decided to stay, what next? Any refurbishment to your office should not just be purely cosmetic. Typically landlords may only offer to recarpet or repaint your office as an incentive for you to stay. Remember you are about to sign a lease for the next 3, 5 or maybe 10 years so it’s time to think about what your company may look like at the midpoint and endpoint of the new lease. Will your companies accounts department be shrinking due to offshoring or will your marketing department be growing? New workstations, breakout areas, collaboration spaces, partitions or offices may be needed in order to accommodate your companies structure in the future. If you think back to how we did business 10 years ago to now it is naive to think that you will be able to stay the same for the next 10 years and continue to thrive in this ever changing market place. Stay tuned for The Ultimate Guide to Office Fit Out Step 2, Assembling your office fit out or relocation team.